Address Port Rd, Letterkenny, Co. Donegal, Ireland, F92 RV1F. 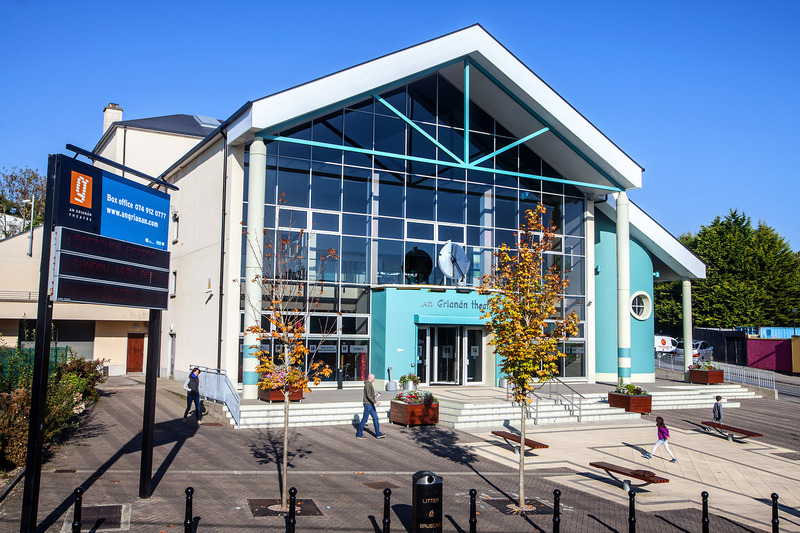 We strongly advise allowing ample time to find a parking space and to be mindful that traffic can be extremely heavy in Letterkenny particularly on Thursday and Friday evenings. Our car park is located to the rear of the theatre and has room for approximately 70 cars. It is free of charge. After 6pm there is no parking fee for using the main street. Disabled parking bays are available at the lower left corner of the car park. Parking is also available at the Grill on the Port Rd, approximately a 3 minute walk from the theatre, and on Justice T Walsh Rd, approximately a 5 minute walk away. From lush farmland to rugged mountains, wild boglands to sandy white beaches, Donegal is one of Ireland’s most beautiful places. We are home to the highest cliffs in Europe – Slieve League, one of Ireland’s most beautiful national parks in Glenveagh, and some of the very best surfing in the world.